A simple, tasty recipe, perfect for the summer season? Easy, an Instagram-friendly greenery open toast sandwich with two versions to choose from. Toast the slices of bread lightly in the toaster. They must be crispy but still soft, don't overdo it! In the meantime, cut the avocado in half, remove the flesh from one half with a teaspoon and place it in a bowl. Add a little salt and pepper then crush the avocado with a fork to make a cream, which you will spread on the first slice of bread. Drain the confit (or sun-dried) tomatoes and pat with kitchen roll to remove the excess oil. Place them in the middle of the slice of toast spread with the avocado cream. Dice half the feta and sprinkle it over the corners of the toast where there are no tomatoes. Garnish with a fresh basil leaf then dribble Zucchi organic oil to add flavour. For the second open toast sandwich: cut the remaining half of the avocado into small triangles and arrange them right across the slice of bread. Wash and halve the cherry tomatoes. Add salt and pepper and leave to stand for a while. Then arrange them on the toast and crumble the remaining half of the feta cheese on top. 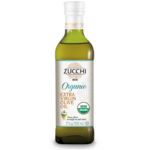 Tear up the rest of the basil with your hands and sprinkle it over the bread, add salt and pepper and complete with a dribble of Zucchi organic oil. Leave to stand for 10 minutes in a cool place and... your avocado, cherry tomato and feta cheese open toast sandwiches are ready to help you feel absolutely in line with this year's greenery fashion!